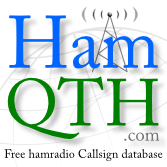 Many thanks for all your efforts in creating the greatest log book system for HAM radio! It actually works VERY well and with minimal fuss. This is a testament to you and all the contributions made to CQRLOG. As I understand it, this is an ongoing problem with QRZ. While I can use HamQTH for lookup. I prefer QRZ as the graphical dissemination of information is greater than any. And they also allow one to manage additional call signs. Have yet to find that functionality on HamQTH or others. I can assist in troubleshooting as I am technically savvy. >"And they also allow one to manage additional call signs. Have yet to find that functionality on HamQTH or others." I hope I understood your problem right. If it gives "non-subscriber" you fill not get all informations. You will know it at this phase already. A subscription is required to access the complete record. Again it informs that "A subscription is required to access the complete record." So If you get similar responses with your callsign and password there is no way cqrlog can fill all information of NewQso. If you can get all informations with this browser test, but cqrlog does not record them then it is a programming question of cqrlog. Many thanks for the feedback and assistance.